The FCC ruled today in favor of you, the customer, telling Verizon that they were in the wrong when they blocked tethering apps from being able to be downloaded to your phone. The blocking of tethering apps, as many of you suggested a year ago, does not comply with the FCC’s “C Block rules” that were set forth when Verizon purchased the C-block spectrum for their LTE network. As of today, Verizon will have to notify the Google Play store that they would no longer like any of the tethering apps available, to be blocked. They are also settling the matter by paying $1.25 million to the U.S. Treasury. GigaOM is also reporting that this new FCC ruling will force Verizon to offer tethering plans for free to tiered data customers. While that’s sort of already happening on Share Everything and not necessarily new, this report suggests that there isn’t a way for Verizon to stop unlimited customers from doing this as well. That remains to be seen, but feel free to check into it. The Commission also received an informal complaint alleging that Verizon Wireless had violated the FCC’s C Block rules by making such a request. At that time, Verizon Wireless’s terms of service required all customers who wanted to use their phones for tethering to subscribe to the company’s Mobile Broadband Connect service, at an additional charge. In response, Verizon Wireless stated that the additional fee reflected the fact that customers who tether laptops or other devices have the capability to use more data capacity than others. At the time of that response, however, Verizon Wireless required not only unlimited data plan customers, but also customers who paid for data on a usage basis, to pay the additional fee. 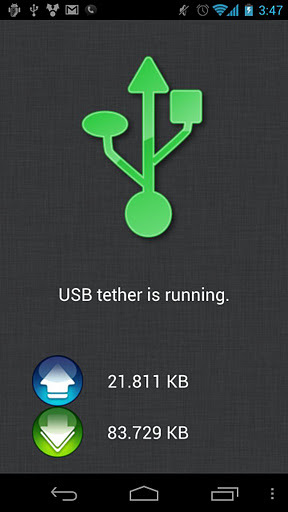 Verizon Wireless asserted that third-party tethering applications could enable its customers to tether without paying an additional fee. Verizon will report any instances of noncompliance with the rule at issue that might occur during the two-year term of the plan.